Unwind in style at a luxurious resort, enjoy the one-of-a-kind experience of an intimate boutique hotel, or stretch out in a roomy villa or beach-front home with space to spare for your family and friends. No matter what type of accommodations you choose, your vacation on Hilton Head Island is sure to be delightfully relaxing and memorable. Unexpected charms and Southern hospitality are always on the menu! 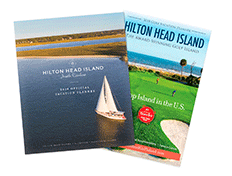 Browse accommodations on Hilton Head Island and book your home away from home today. When it comes to vacationing in our idyllic Island paradise, the range of accommodations available is as wonderful as Hilton Head Island itself. Choose from a variety of hotels, inns and resorts, where delightful amenities, unexpected charms, and Southern hospitality are always on the menu. 1-10 bedroom beachfront houses. Luxury villas next to the beach, ocean or golf course - your choice. Villas with private outdoor pools. Special offers and packages plus exclusive access to Island resort facilities. This is just a tempting taste of what you can expect from the home and villa rentals of Hilton Head in sun-drenched South Carolina. Hilton Head Island is America's favorite island, offering 12 miles of pristine beaches and everything you need for the ultimate retreat. Enjoy easy days relaxing in the sun, sand and surf on some of the best beaches in the country.